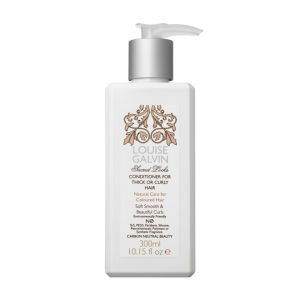 Natural hair products by Louise Galvin are sure to revolutionise your hair care routine for good! The view behind the brand is to provide hair products that are only made up of natural ingredients, bringing the very best out of your hair. The wonderful thing about these products is that they are completely free of sulphate, silicone, parabens and synthetic polymers, meaning that your hair won’t experience any damage from harsh chemicals in the formulas. All products within this innovative range are completely free of harsh chemicals, plus they contain a blend of gorgeous natural ingredients that will help to keep your hair looking and feeling healthy. In these products you’ll find rich Ximenia Oil for moisture and smoothness, Inulin to reduce dry and flaky patches of the scalp, as well as vegetable proteins for volume plus Mandarin Oil for a delicious scent! You can pick up a sulphate-free shampoo, conditioner, hair mask and more from this collection of natural hair products, all suited for a range of hair types, so get yours now from HQHair.com with free delivery options.